The Dancing Wheels Company, a group of professional dancers from Cleveland that includes those with physical disabilities, will perform at 6 p.m. Thursday, Oct. 11, at the Wheeling campus of West Virginia Northern Community College. The free and open to the public presentation will be held in the multi-purpose room of the Education Center on Seventeenth Street across Chaplain Street from the B&O Building in downtown Wheeling. The performance is part of WVNCC’s observance of Disabilities Awareness Month in October and is made possible through the Diversity for Equity grant program from the state Higher Education Policy Commission. Denise Wycherley, Northern’s student disability coordinator, said the Dancing Wheels Company’s hour-long program will feature 10 to 13 dancers performing fully-costumed excerpts from the company’s main stage repertory and/or story ballets. According to previously published stories about the Dancing Wheels, the dance school and company’s creator, Mary Verdi-Fletcher, was only 3-years-old “when she decided she might want to spend her life as a dancer. Only one thing loomed as a potential obstacle: spina bifida, the birth defect with which she was born. But Verdi-Fletcher was so strong-minded and so inspired by her mother, a dancer, and father, a musician, that she never let formidable challenges alter her course. Her Cleveland-based creation, Dancing Wheels, recently celebrated its 30th anniversary. 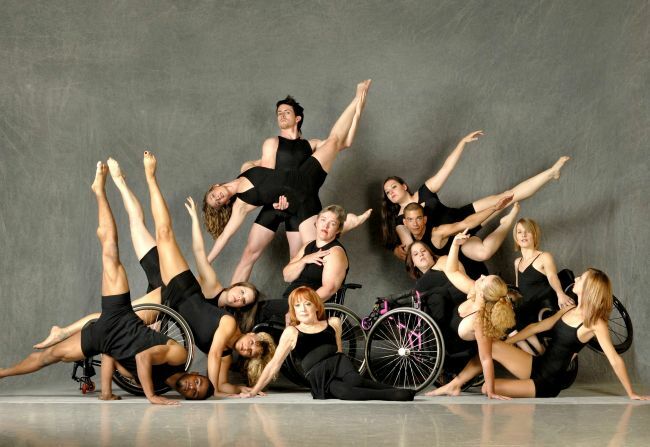 Verdi-Fletcher established Dancing Wheels as the first physically integrated dance company in the country in the 1980s. It began to garner recognition nationally in 1990, when it became affiliated with Cleveland Ballet and Verdi-Fletcher opened Dancing Wheels School. “As she followed her muse, Verdi-Fletcher explored every dance option she could contemplate. She broke many wheels on her wheelchairs in the early years of experimentation. But she also shaped a new movement language influenced by dance she loved in movie musicals and television shows. “In 1980, Verdi-Fletcher and her dance partner, David Brewster, entered the ‘Dance Fever’ competition in Willoughby, Calif. The capacity audience went silent when the wheelchair dancer and able-bodied dancer appeared onstage. Also during Disabilities Awareness Month, West Virginia Northern’s Wycherley has planned internal events that provide information about disabilities. Wycherley believes it is essential to showcase what Northern has to offer to students with disabilities and to make the college community and the public aware of the great strides being made in services for those with disabilities and the successes such students are celebrating.